Sometimes you need to stop preparing and jump in at the deep end. This weekend I went for a swim in a lake, and it turned out that the summer hadn’t warmed it up enough to really be hot enough, but the plunge is by far the worst part of it. After you get going with something, it often ends up not being so bad. 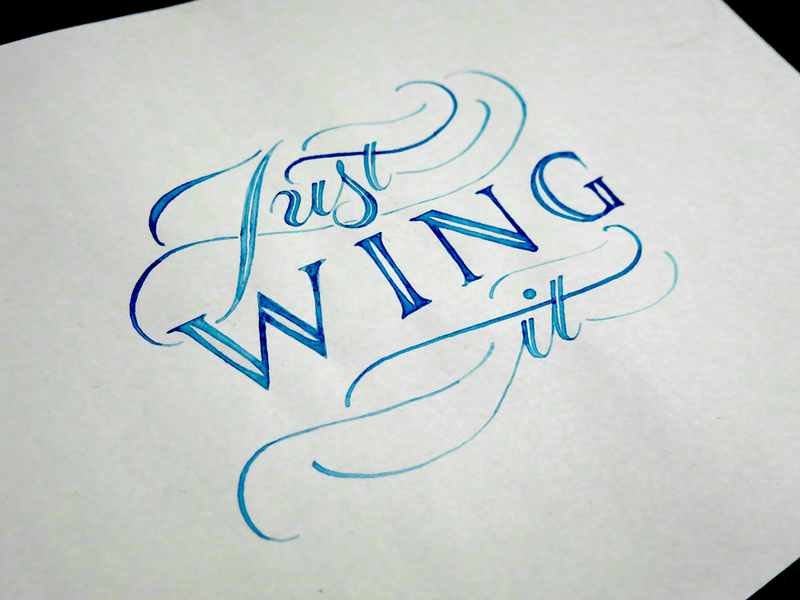 Some times, you need to just wing it. I’m pretty sure that that just about wraps it up for learning blue, so if I just learn the other 6 colours, I should have it all sorted out. In all seriousness, though, this was novel for me in both execution and design. Working with subtly different tones was interesting, but the experience was added to with regards to the tools used. 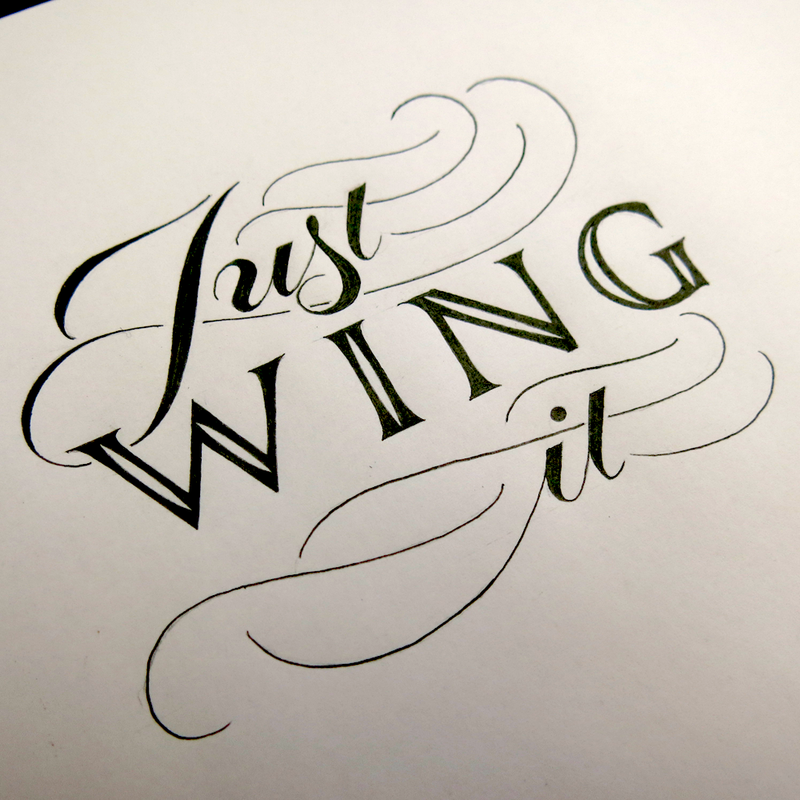 When making something that’s simply black and white I use Rapidograph technical pens, but this piece is one of the first lettering pieces (as opposed to calligraphy pieces) that I’ve created using my traditional calligraphy tools, in the form of a broad tipped dip nib. Calligraphy is a great example of an art that is all about the hours of practice vs the minutes, or even seconds of execution that it takes to make a piece. A skilled calligrapher has dedicated thousands of hours to learning the correct letter forms so that they can produce them swiftly at a moment’s notice. This is paying off in my own work, as sketching out Romans like these is becoming something that only takes a few minutes, and is backed up by the time dedicated to acquiring the knowledge that supports the letter forms. The process of this piece, then, is relatively simple, as the first step is shown above. 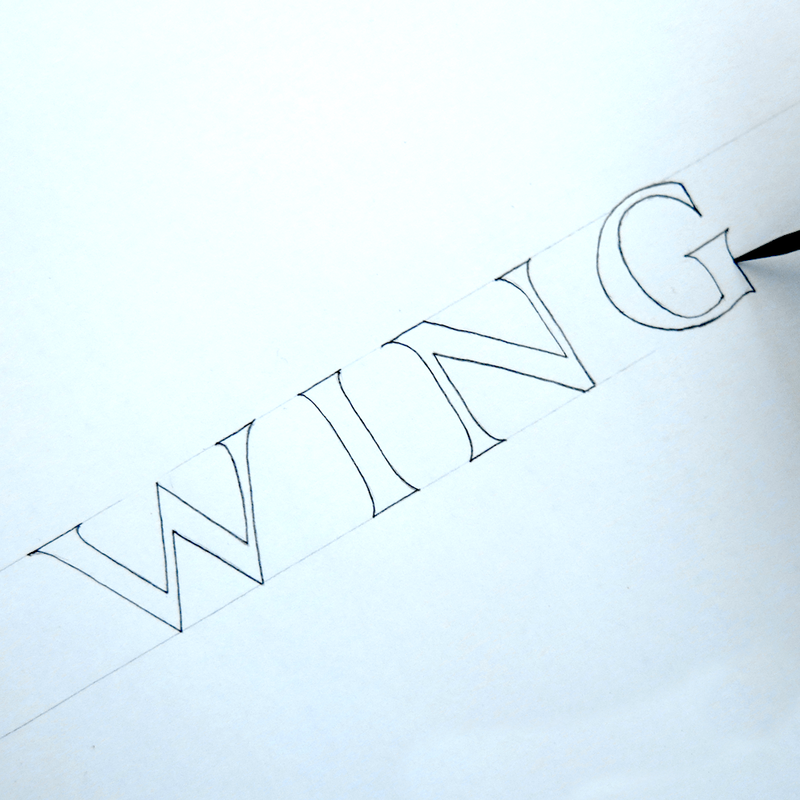 With a couple of guidelines pencilled in with a ruler, the letters are quick to outline. From there, the next stage is designing the Copperplate and flourishes to surround the Romans, and filling the outlines. Lastly, I laid another sheet over the pencil version so that I could trace the letters in paint, and not to have to worry about erasing the guidelines after the paint was applied, all of which means that I end up with two versions of the piece, one graphite and one gouache, as pictured above.